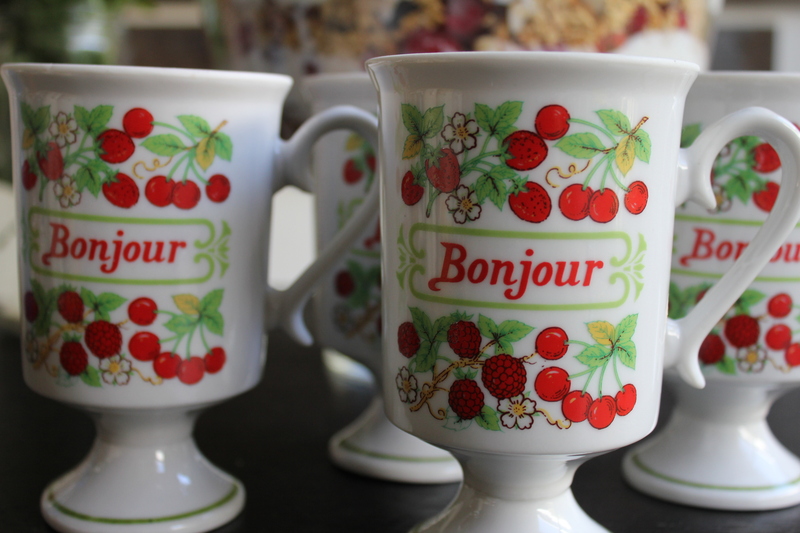 This morning was lovely and bright, and I woke up missing Paris ever so much! 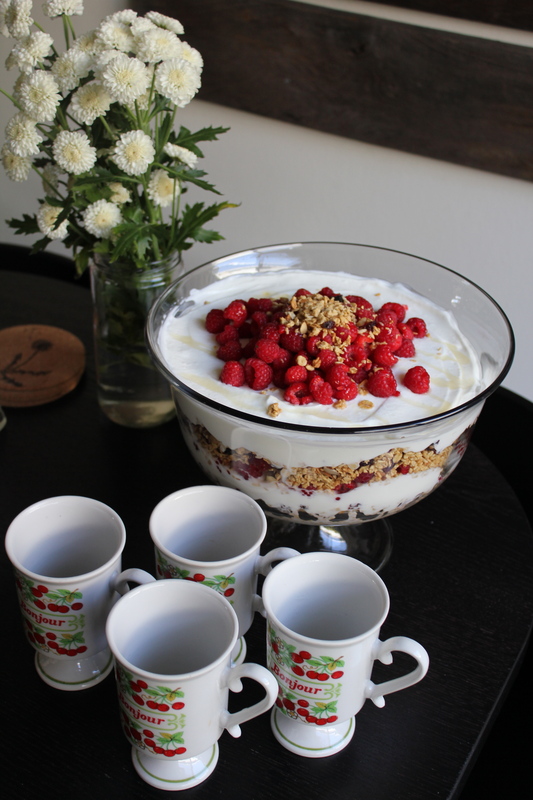 Since this bird won’t be flying anywhere in the near future, I suppose this will have to do: an oversized fresh berry parfait and some of the most delicious Lord Windsor coffee, sipped out of my favorite mugs, and shared with good friends. Mix together granola, cherries, and candied ginger. Place yogurt in a large resealable bag, and snip off end. Pipe a 1-inch-thick layer of yogurt into the bottom of a 4-quart trifle dish (7 1/2 inches in diameter, 5 inches deep). 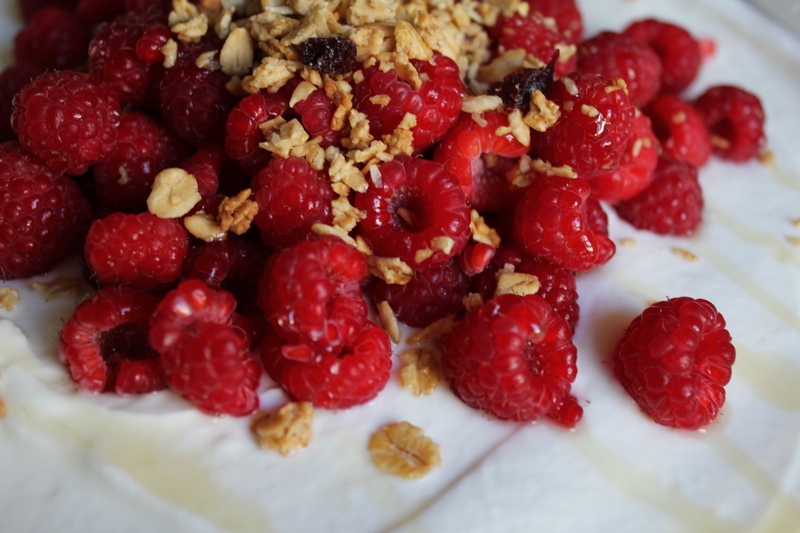 Scatter 1 1/2 cups raspberries over yogurt, and drizzle with honey. 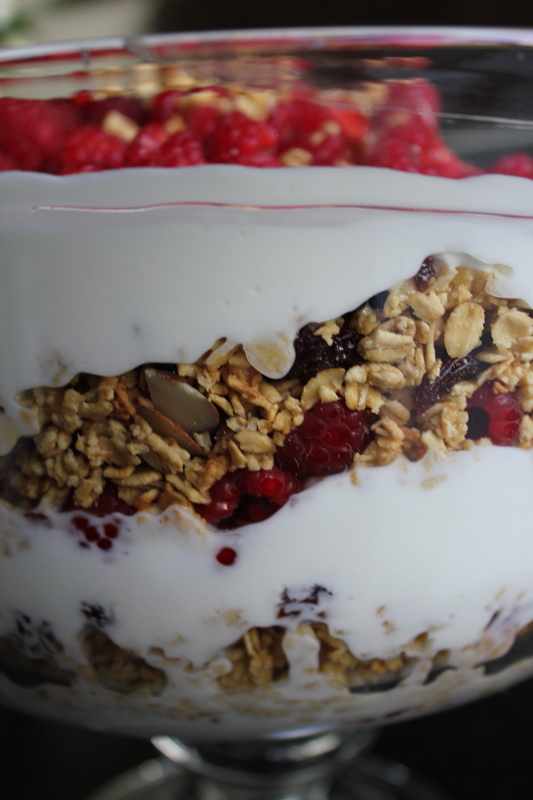 Sprinkle with 3 cups granola mixture. Repeat layering once, and top with a layer of yogurt. Mound 1 cup raspberries in center. Garnish with thinly sliced candied ginger (optional), and drizzle with honey. Serve immediately. This entry was posted in Listening, Recipes, Traveling and tagged Franciose Hardy, French, Lord Windsor, Paris. Bookmark the permalink.